Whatever Will Be, Will Be. We’re Staying At Wem-ber-ley! 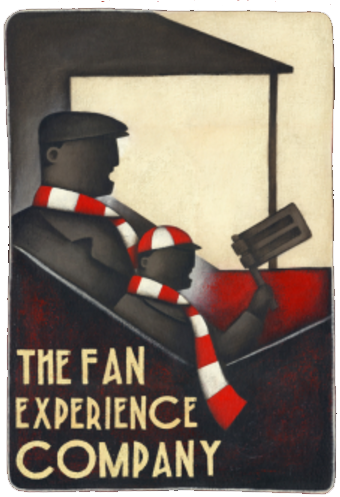 There was, and still is for a lot of us, a time when ‘going to Wembley’ was the holy grail for a football team and its supporters. Bill Shankly’s first objective when taking on the Liverpool’s manager’s job was to win the FA Cup because the supporters deserved that day out. Speaking as a fan of a lower league team that has got there just the once in a history that stretches back for 130 years, there is still that mystical appeal and draw. After an exciting weekend of FA Cup first round action, all remaining teams have that hazy dream – however unlikely – of reaching the final. Of course, you don’t have to get as far as the final these days to go to Wembley. The semi-finals will do. Or drawing Tottenham Hotspur away before that (or even at home in the earlier rounds and forcing a replay). Getting to that holy grail has never been easier. Other options include starting an NFL team, being a groupie of almost any decent 1980’s band or fighting Anthony Joshua. But if there is one team that has probably seen quite enough of the national stadium for the moment, it’s probably Spurs. They’ve been waiting to move into their new/old home for a while, their temporary stay at Wembley already outstayed. What should have been a season – maybe a season and a bit – has become a lot more. Best laid plans and all that. Unforeseen delays with building contractors and safety issues have meant that they’ll be there until after Christmas at the earliest, but they’ve also been given the go-ahead to stay at Wembley for the rest of the season if need be. Some fans are, perhaps understandably, unhappy. Even manager, MoPo, has talked of his wish that his team would be installed back at The Lane sooner rather than later but sometimes things are out of his and anyone else’s control. Health and safety must always come first, of course, and people need to take the long-view, but that’s often easier said than done. The benefits beyond this temporary glitch will be massive. The stadium looks fantastic, a leading-edge arena that will house many matches for decades to come. And it’s only a little patience that’s needed; as the manager said just last week…. look at every extra day at Wembley as one less day until the move, or something like that. Brent Council’s permission for a prolonged stay comes with conditions. Spurs had a special dispensation to play all of the 2017/18 campaign at the maximum 90,000 capacity. But now, the latest agreement cuts this to 51,000 – with additional planning applications required to increase this to maximum or even to the 62,000 that their new ground will accommodate. There’s not a great deal of choice in laying down a contingency given that Chairman Daniel Levy has said it’s not possible to confirm the exact opening date and fixture, but word is that it will be January 2019 at the earliest, with an update from the club expected in December. Spurs have been put in a difficult position. The delays aren’t necessarily of their making and they have a responsibility to keep their stakeholders – the most important ones being the fans – informed with regular updates. One change they’d possibly make, with the advantage of hindsight, would be the way they managed expectations. In a corporate job, twenty-years ago, I was faced with an issue where thousands of people had not received a response in the time they should have. Rather than dress it up, we went with a ‘we well and truly cocked up’ approach and promised a response within four weeks. Almost all of the customers thanked us for being honest and also were happy with the proposed solution. The few that weren’t, we prioritised. When the responses got to people after two or three weeks – instead of four – they felt we’d exceeded our promises and were even more thankful. The same inexcusable mess, but suddenly perceived very differently. Yet we just used the classic ‘under-promise, over-deliver’ business tactic that some have used effectively for years. The problem with the alternative; the ‘over-promise’, is that even when it’s very well intentioned, it can only really go one way. If you deliver, you get the collective shrug of shoulders because that’s the expectation that was set anyway, and the minute you fail to deliver, you are derided for it. It reminds me of a time (not so much now as technology has made it less vague) when airport or railway delays were handled by a succession of ‘in the next twenty minutes’ announcements. Information-hungry passengers, waiting in departure lounges or on platforms were told there was a delay and they’d know more in twenty minutes (or a similar timeframe) and then after those twenty minutes were up, they’d be told the same again and then again. Using Spurs as an example, imagine if, last season, they’d announced that the move to the new White Hart Lane would be in February 2019. I’m sure it would have been met with groans and complaints. But it would have been more realistic, maybe even a little too far the other way, and fans would have known where they stood. If the move then happened earlier, they’d feel the club had made extra efforts to get there as quickly as possible. Amazon have always used this tactic to great a profitable effect; indicating an order will be delivered on a Wednesday but always having the capability to get it there by the Monday or Tuesday. The customer feels they got well treated, they recommend and use Amazon again and everyone wins. There is big difference between a stadium move and the delivery of a new head for a mop, I know, but the concept isn’t all that different. 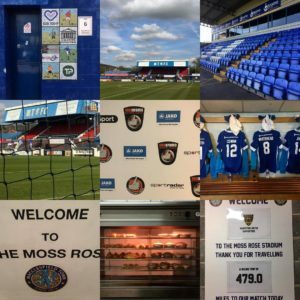 And presenting a worst-case has to be better – from a supporter’s perspective – than the August/September/Christmas/January uncertainty they’ve had instead. It’s similar to what happens when an owner, manager or coach declares something like ‘only the top four is acceptable’ or ‘we won’t be happy with anything other than promotion’ if their club is in a lower league. It leaves them with nowhere to go if it goes wrong and those words will come back to haunt them in spades. It’s better to heap less expectation – and thus pressure – on at the outset and then either over-perform or even adjust as they go. Remember Claudio Ranieri’s magical 2015/16 season? Even when they led the table around Christmas, the mantra was ‘we want to reach enough points to avoid relegation’. Will We Have Rainbows, Day After Day? We see this skewing of fan perceptions in the match day experience assessments we do. 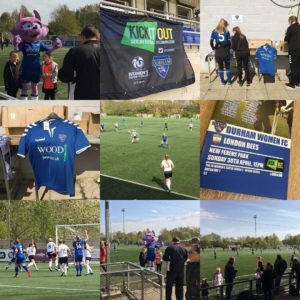 For instance, if a club make a game special, such as holding a Family Fun Day, with reduced prices, pre-match activities and lots of extra promotion, they will attract more fans to the game (great) but also create a much lot of expectation (not always so great) for the next match or rest of the season. If the fan returns and the price is higher and this time with no activities, the final outcome is counter-productive to what the special day was supposed to achieve. On a basic level, the fan feels they aren’t getting value for money. But they might also feel misled or even cheated if the experience second time around is a lesser one, especially if they’ve paid more but also if they’ve recommended it to others; as people tend to do. The alternative forces the club to declare its hand earlier and say ‘but don’t expect this every week’ to manage the expectations although they could also create the same conditions every week so that fans can expect a consistent and high level of experience and don’t have to carefully pick games where extra effort is being made. Many aspects of football are out of our hands. The result, the way the team plays, the league position, the date to move into a new stadium; these are all things that are hard to predict or control. So, a lot of it comes down to perception. The end result will be the same; how people view it will not. Either way. Que sera, sera!